Well, we sort of knew in the back of our minds that this was coming, but now it's official. 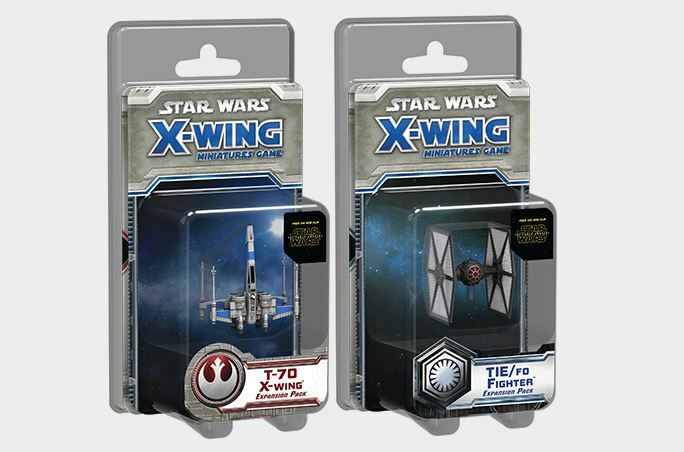 The new T-70 X-Wing and TIE/FO ships are being released as singles for the X-Wing Miniatures Game. So if you want the new ships without getting the new starter, you can do so (though I wouldn't be surprised if there's upgrade and equipment cards that are only in the starter and only in the individual ship packs). These two new ships are being added to Wave 8 of releases. These new ships are fully compatible with all previous ships. So you can use upgrades and equipment from your older ships on your new ones and the other way around, too. This will greatly increase the options available to players as they look to either free everyone from Imperial control, or cement the Imperial's grasp on power. Expect Wave 8 to be available in the 4th quarter of this year.